I began this latest attempt at a “1940s Experiment” on October 1st 2011. The premise was to follow the guidelines of a “British 1940s WWII Adult Ration” to see if this improved my health and well being and my theory was that I’d lose 100 lb in a year, without counting calories, but rather getting back to a basic wholesome way of eating and taking more exercise. At the same time, from a historical perspective, it would be fun to re-create 100 authentic WW2 recipes and share them with you as well as create a free resource for schools and researchers.. Weighing 345 lbs at my heaviest and 299 lbs on October 1, 2011…. I’ve been the perfect guinea-pig to test my theory out on. In 8 months I’ve lost 65 lbs, I feel happier and healthier, the fog has lifted and I can walk. 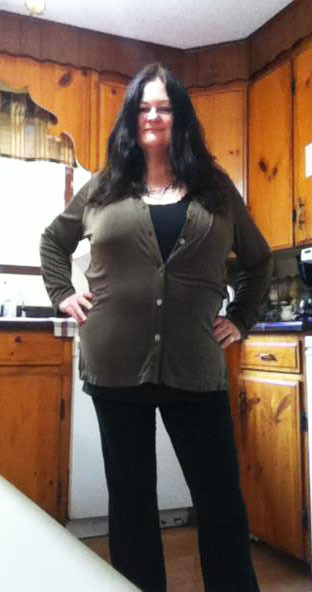 And now I’m on the home stretch….I have 35 lbs to lose and 35 more recipes to re-create to reach my 1 year goal and I am truly convinced beyond any doubt that we have to AND are able to take responsibility for our health, to give ourselves a better chance and the environment a better chance too. I feel the two are absolutely intertwined..
Buy more fresh wholefoods, buy more local, buy foods with less packaging, buy less processed foods, buy organic and drink more water! Start today with yourself, be kind to yourself, like yourself. It’s difficult to change other’s eating habits in your immediate home environment so just start with yourself…. make yourself the priority. I’ve a LONG way to go, even when I reach my first goal I’ll still have quite a bit more to lose to be in a healthy weight range but I know, what I am doing now, what for once I seem to be succeeding at, is giving me more years of my life back. 199 lbs … HERE I COME!!! Just some inspirational and encouraging movies, documentaries and clips you should try and watch… don’t be fooled by the titles. These are inspiring! Your advice is very wise, and a good reminder to all of us to be good to ourselves–which means caring about what and how we eat! Keep on keeping on! You’ve done really, really well Carolyn. Such an insparation to us all. By the way, the friut shortcake was delicious.